The Cliffs of Moher are Ireland's are Ireland most popular tourist attraction. 1 Atlantis take a bracing walk along the top of the cliffs to try and spot or hear the fabled bells of Ireland's very own lost city of Atlantis. You might also spot some basking sharks which have returned in great numbers off shore. 3 Vaughan's Restaurant stop for something to eat in the little seaside village of Liscannor, superb food served all day in a traditional pub atmosphere, excellent pints & deserts! 4 Cliffs of Moher Cruise take a scenic boat tour along the base of the cliffs, out of Doolin to see the puffin colonies, this is really great and fun to do with plenty of excellent photo opportunities for the snap happy. 5 O'Connors Pub in Doolin, on the go since 1832, famous throughout Ireland and even the world for traditional Irish music sessions or seisúins as they are known as gaelige. Their beef in Guinness stew is still one of best in Ireland. 7 Aloha Surf try your hand at surfing or improve your skill with a lesson from the pros at Fanore Beach, one of Irelands 10 Best Beaches or stop into O'Donohue's Pub opposite the post office in Fanore for the best pints of Guinness, chowder, grab claws in garlic, fresh fish and chips this side of the Atlantic. 8 Ballinalackin Castle Hotel enjoy some good old fashioned Irish hospitality with a stay in this friendly country house hotel with the best breakfast sausages in Ireland. 9 Burren Smokehouse help yourself to free samples of premium oak smoked salmon & other artisan food goodies in this wonderful little food emporium in Lisdoonvarna. 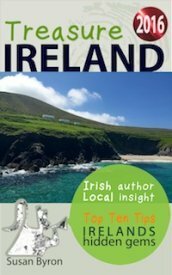 10 The Wild Honey Inn enjoy a well earned gourmet lunch or dinner at this wonderful gastro pub which is really making a name for itself with foodies in Ireland. 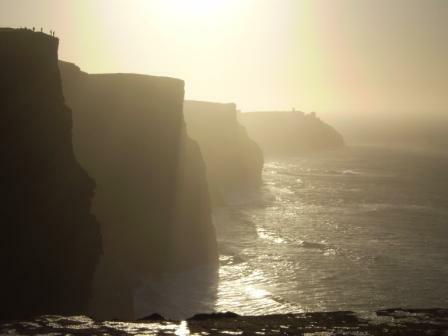 For more information on the Cliffs of Moher please click here.